The Planner is responsible for directing the long-range planning and development program to ensure the best use of organization resources in defining and planning goals, objectives, and programs for the achievement of organization and growth profitability. Builds networks and professional reputation through participation in internal and external technical and professional activities. Prepares scope of work and develops level of effort for review is needed to complete the project. Prepares studies, impact analysis and impact statements. Conducts analysis and completes the team’s recommendations for the assigned project. Conducts surveys and performs project research regarding impact of proposed projects. Interprets reports in terms of client/project impact and selects appropriate course of action. 7 to 10 years’ experience preferred. 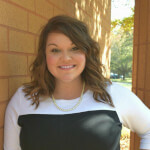 Katie Day is a recruiter with HKA Enterprises. While Katie recruits for all industries, her favorite is craft & light industrial. Her advice for job seekers is "Ask questions. Follow up. Don’t be late."